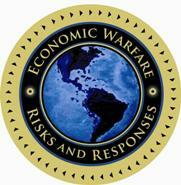 The report we prepared on Economic Warfare in early 2009 documented a Phase One attack. Clearly the ramp in oil prices to nearly $150/barrel in June 2008 from as low as $50/barrel at the start of 2007 had a very negative effect on the U.S. economy. In fact, it set the stage for the 2008 collapse that nearly thrust our country into another Great Depression. In the report, we demonstrated manipulation mechanisms that could have been at work in the speculative frenzy that took place. Just from a simple logic standpoint, the economy was stronger in early 2007 than it was mid-2008. Yet, oil prices tripled as the economic weakness unfolded. OPEC War against America’s Economic Independence? “Sheikh Yussuf al Qardawi, Muslim Brotherhood ideologue and mentor of the Qatari-funded channel, spoke openly of Silah al Naft, i.e, ‘the weapon of oil.’ Indeed, it was called a weapon – as in a warfare situation — and most likely it was used as such. Of course, the producing ‘regimes’ will deny the existence of a real strategy to bring the US to its knees by striking at its pumps. They will dismiss statements made by emirs and commentators in this regard. The ‘field Jihadists,’ however, won’t deny the existence of such a battlefield. Why is this so important? First, oil is back to $100/barrel even though American unemployment remains above 9%. This means that we continue to transfer economic might to the Middle East at an unbelievable rate. According to Congressional testimony by Dr. Gal Luft, the value of OPEC oil and gas was roughly equal to the value of the entire world’s financial assets in early 2008 when oil was $125/barrel. That is also true given today’s market prices. That means that some of the most unstable nations of the world have a net worth equal to every major stock and bond market. The worst part is that the wealth transfer is accelerating. So, while the Chinese are making headlines, the Middle East is quietly sapping our wealth. Make no mistake, this is an Economic War and we appear to be losing badly on both fronts. Previous post: Testing Their Weapons? Next post: Can Wall Street Be Manipulated?